Thanks to Griffin you're no longer limited to practicing your guitar lessons in your home or studio. 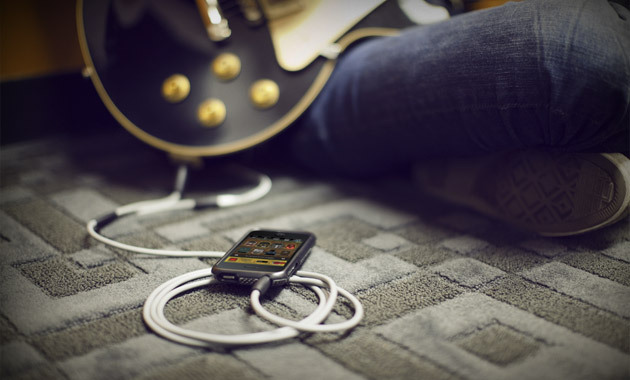 This GuitarConnect Cable ($15) can turn your iPhone, iPod Touch and iPad into a guitar rig for honing your skills anywhere, anytime. Simply plug the 6-foot long cable to your guitar and your Apple device's headphone output, launch an instrument effects app like iShred Live or GarageBand, and start playing.